Back in 2013 I joined a friend and a fantastic film photographer Ann-Kathrin Koch to help her photograph a wedding at the Coo Cathedral on the grounds of Aboyne Castle Estate in Scottish Highlands. It was my second time shooting in Scotland and I fell in love with it even more. Its wilderness and raw beauty will fascinate me forever. 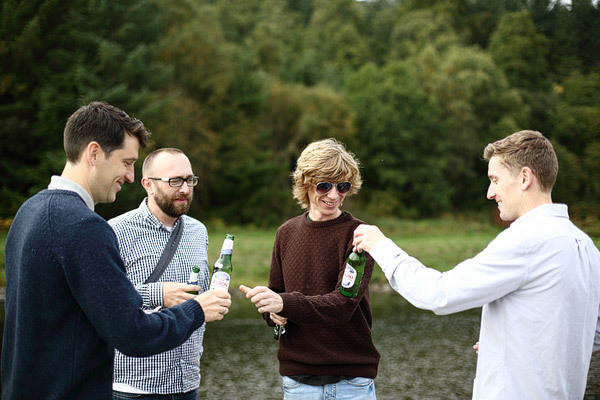 This time around my job was to stay with the groom and his ushers whilst they nervously got ready, and also had a cheeky beer by the river nearby. 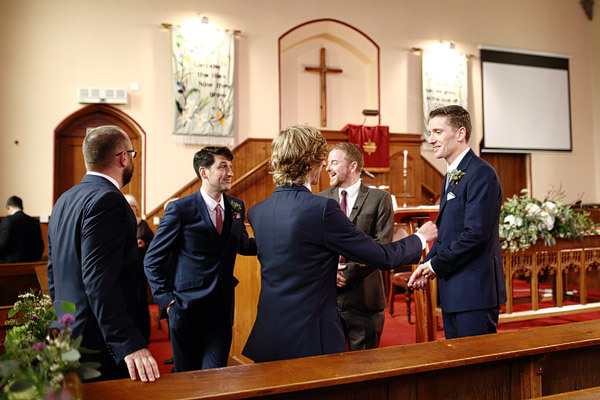 Wedding morning is different for the boys - no sitting around for hours having hair and make-up done. 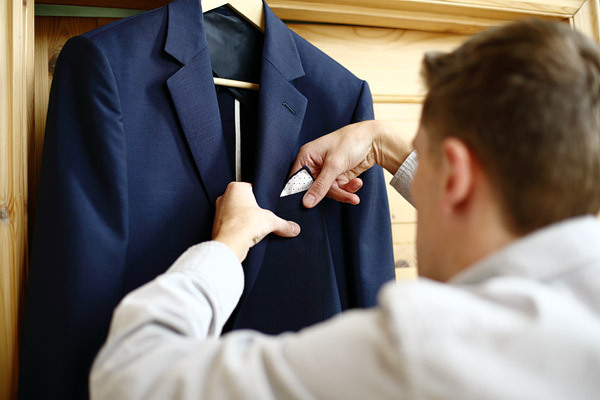 That's not to say there is less pressure though ;) You still need to know how to do a knot on a tie, how to fold the pocket square and pin a buttonhole flower. 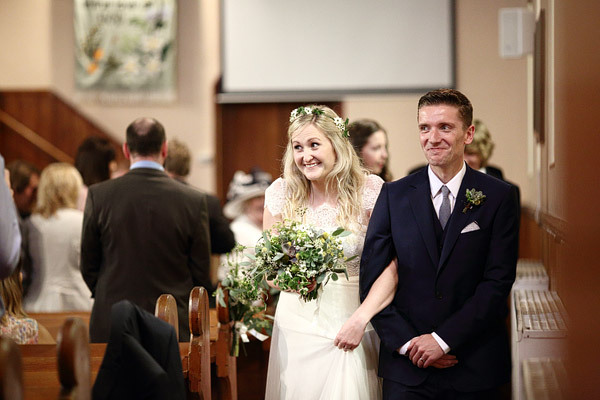 Lovely church ceremony and a relaxed wedding reception followed. 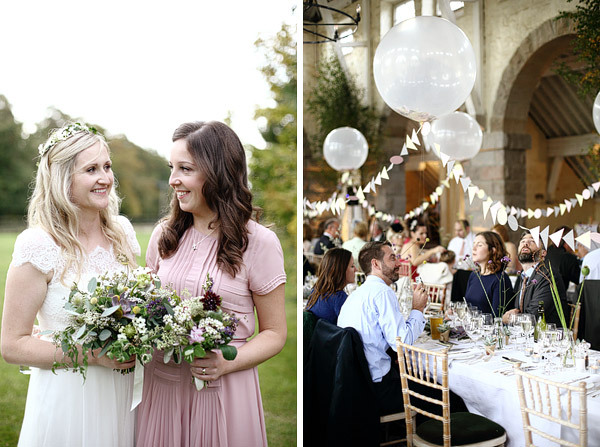 Coo Cathedral is a stunning venue with high vaulted ceiling and plenty of natural light. 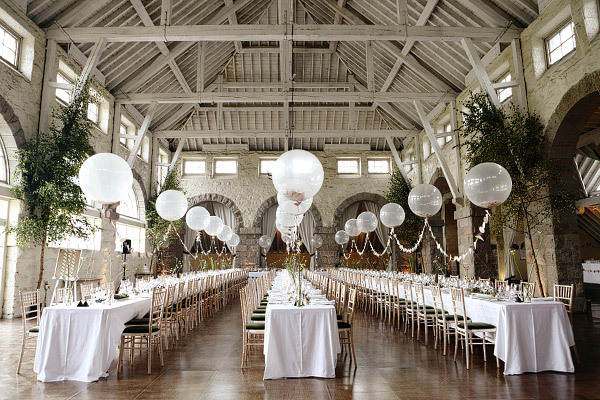 You can really make the space your own to reflect your personality and style of your wedding. 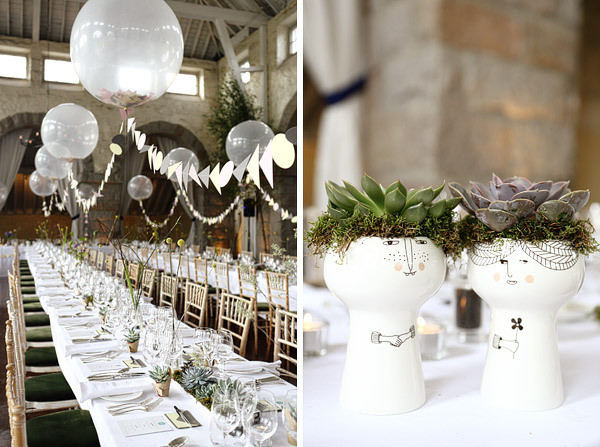 I loved the rustic country flowers, succulents, giant white balloons and trees that decorated the venue. So, here is my take on the day. Thanks to Ann-Kathrin for having me along! To see her story of the J & R's wedding, click here.